Stud plans for the Chris Waller-trained Zumbelina could be put on hold after her Doomben victory. Champion trainer Chris Waller has a big call to make on Zumbelina after the mare’s brilliant Doomben win. The original plan was to send Zumbelina to stud after Saturday’s Ascot Plumbing Handicap (1350m) but her win was so impressive those plans could change. Zumbelina ($4.80) came away to score by 1 3/4 lengths to the heavily backed favourite Fiery Heights with 1-1/2 lengths to Stella Ombra ($21) in third. 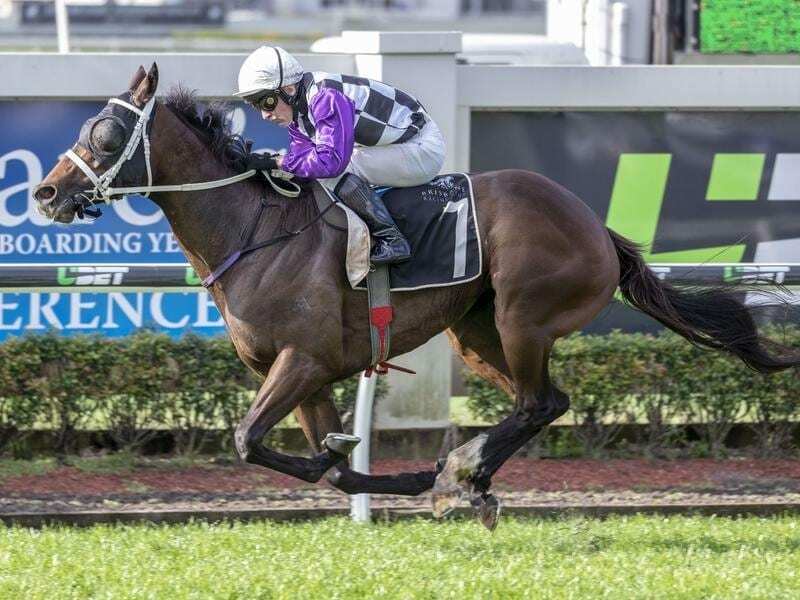 Waller’s Queensland manager Paul Shailer said the stable was back in form with a double for the day. “When there is a bit of rain about it helps our horses,” he said. ” Zumbelina was good last start behind Caulfield Cup hope Divine Unicorn and she did race well in top company as a young horse in Sydney. The win gave jockey Jeff Lloyd his third win for the day and more jibes about whether he will retire this year. Lloyd has said he will retire but even after the treble refused to say when. Trainer Toby Edmonds will resist the temptation to send From Within south for the spring carnival despite her easy win in the QScan Radiologoy Plate (1200m). From Within started equal favourite in the 2017 Magic Millions 2YO Classic but was well beaten and her form since had been patchy. But since being sent north to Edmonds she has won two of her three starts. “I won’t be going anywhere with her,” Edmonds said. “Today was her first win at 1200 metres and it has been confidence-building.